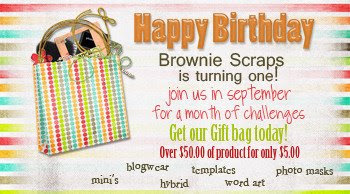 FlutterbyeFaery Designs: Happy Birthday to BrownieScraps! All month in September, we'll be having challenges using items from this gift bag. It's a TON of stuff! 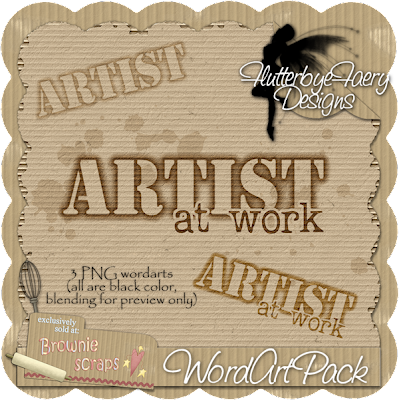 Mini kits, blogwear, templates, hybrid projects, photo masks, wordart... all at a steal for only $5.00! Goes on sale August 1st so be sure to check it out! Here's a sneak peek at just one of the products in the bag!